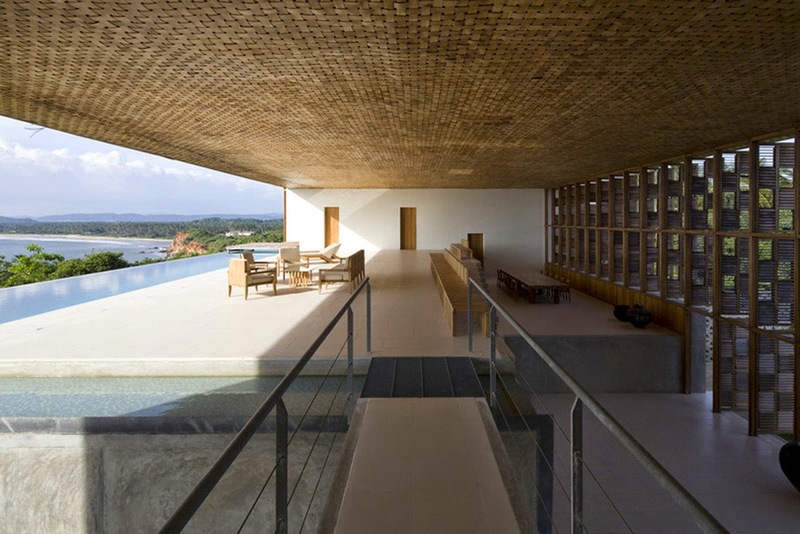 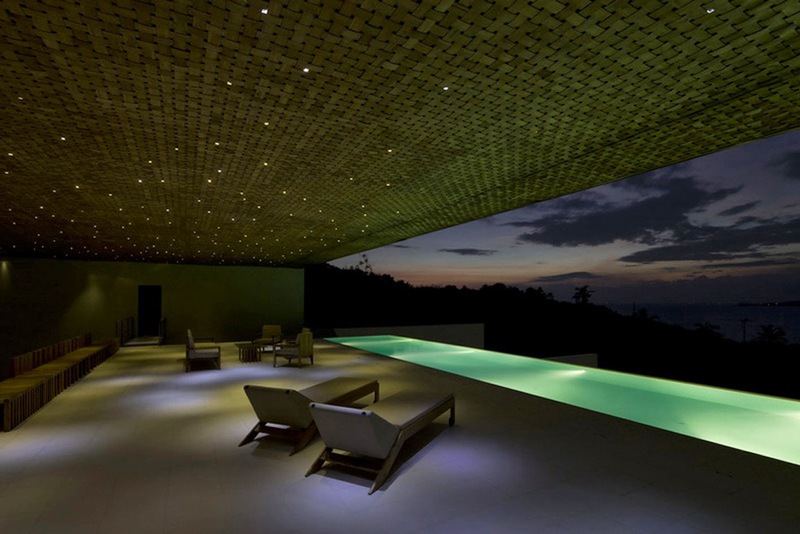 Located on a hilltop site facing the ocean, in Weligama, Sri Lanka, Villa Vista by Shigeru Ban Architects frames different views overlooking the ocean and the hilltop lanscape, under its large roof that is covered with coconut leave material. 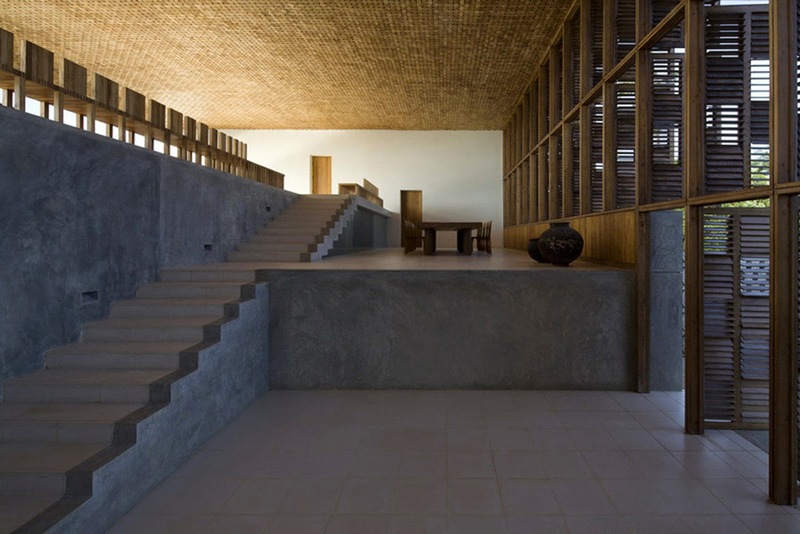 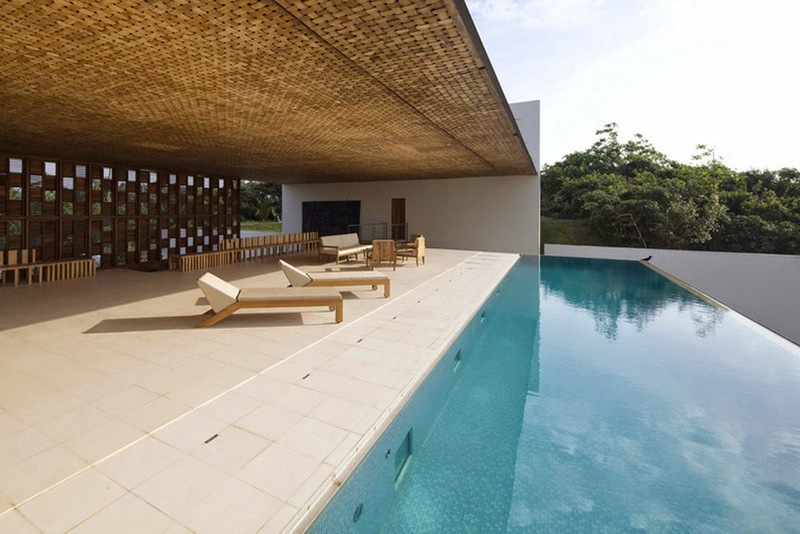 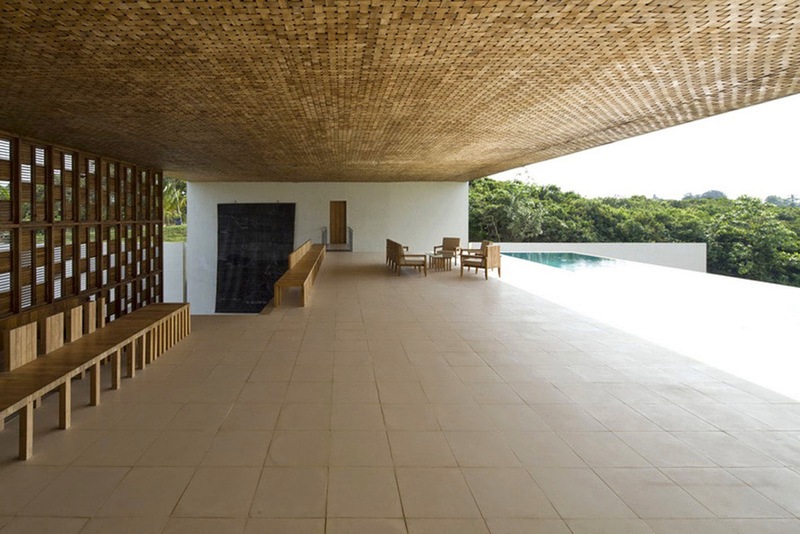 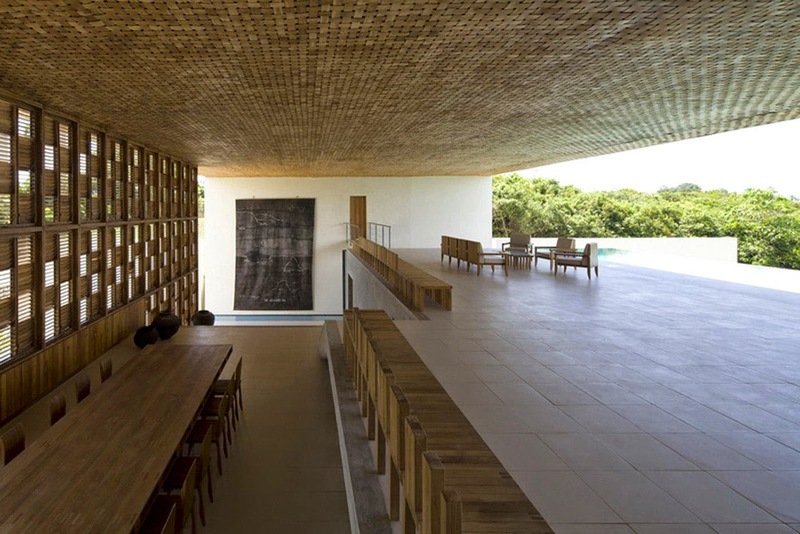 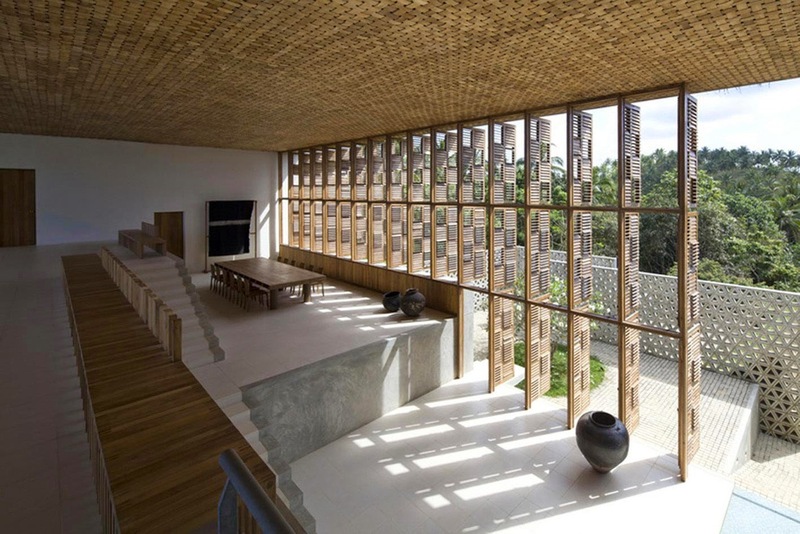 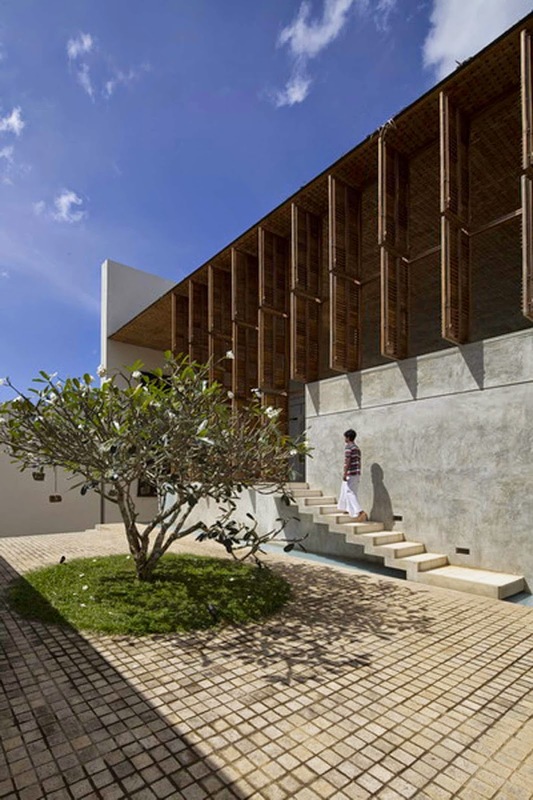 After designing and building post-tsunami reconstruction houses in Sri Lanka, Shigeru Ban was commissioned to design a residence for an owner of a local tire company. 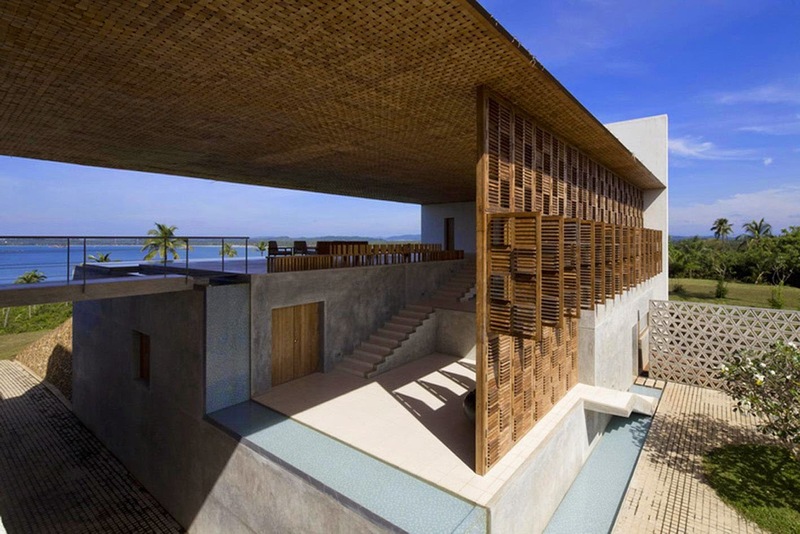 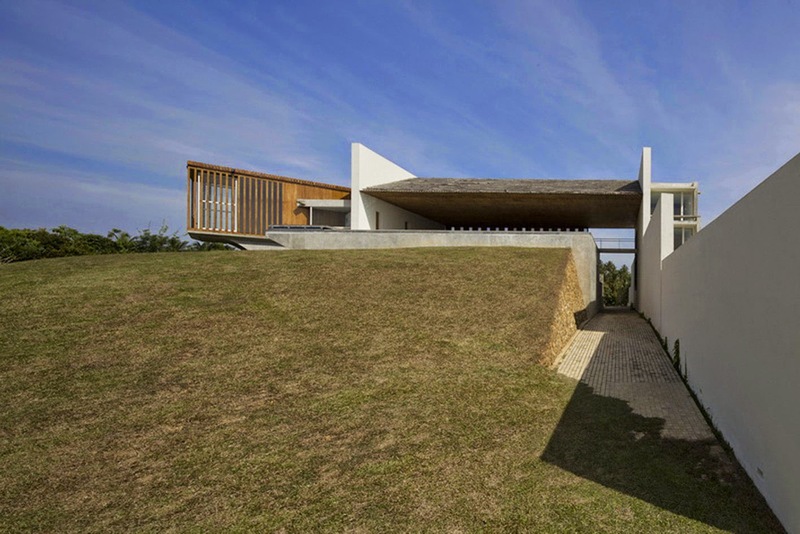 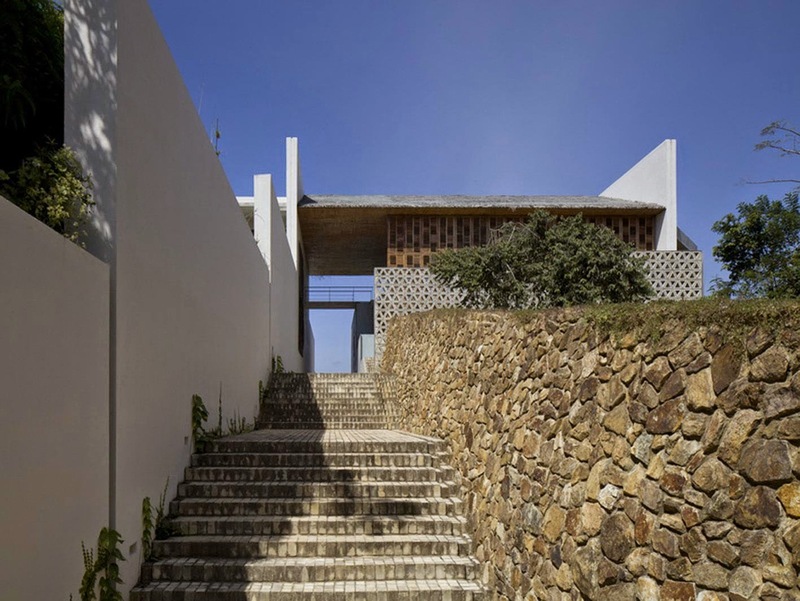 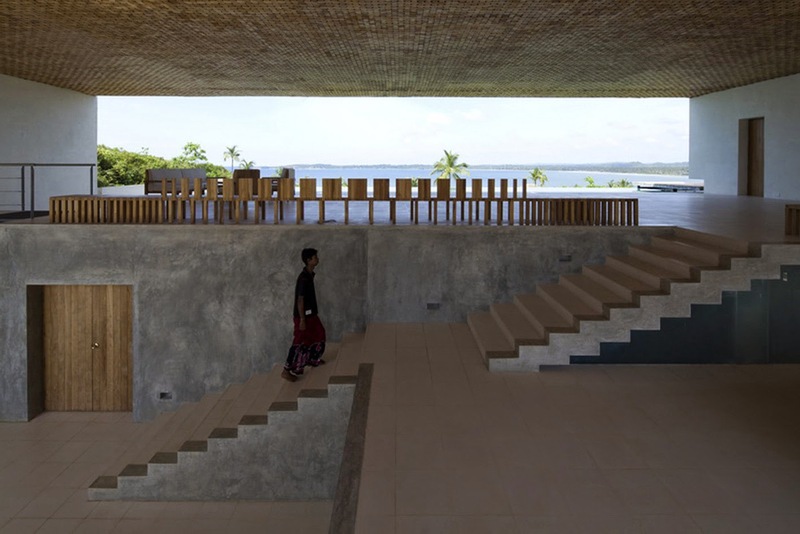 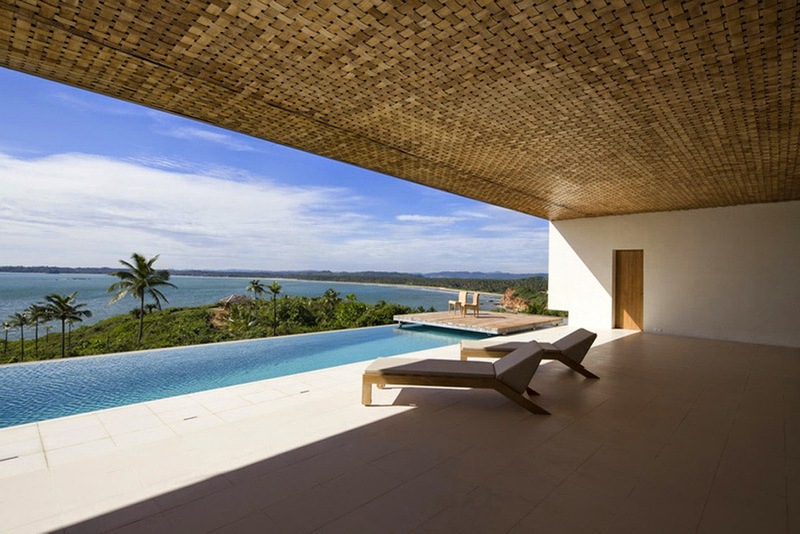 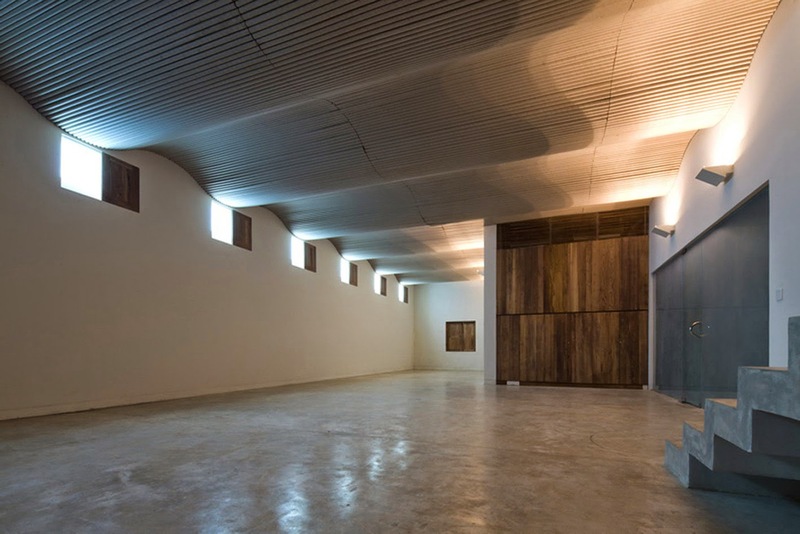 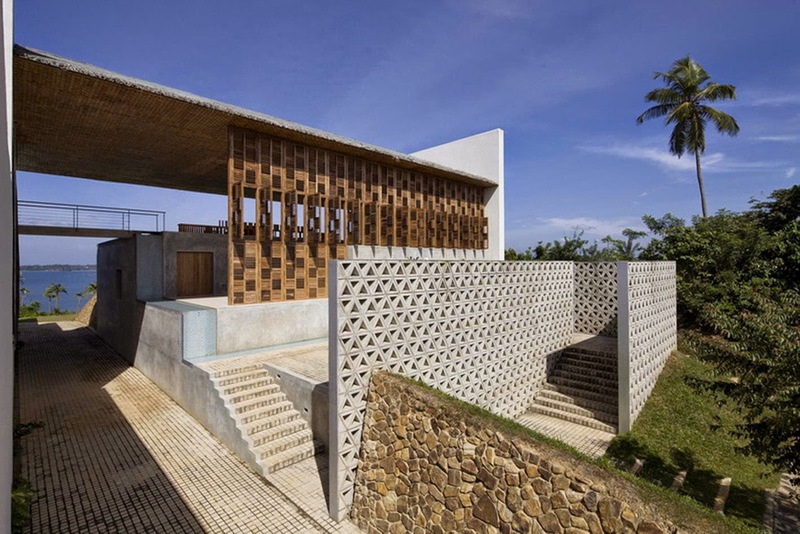 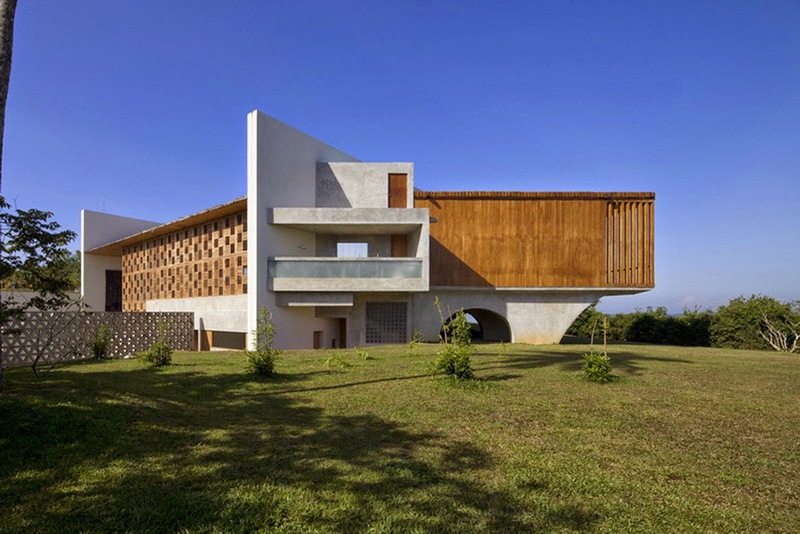 Located on a hilltop site facing the ocean, the floor, walls and ceiling of this building frame three different views. 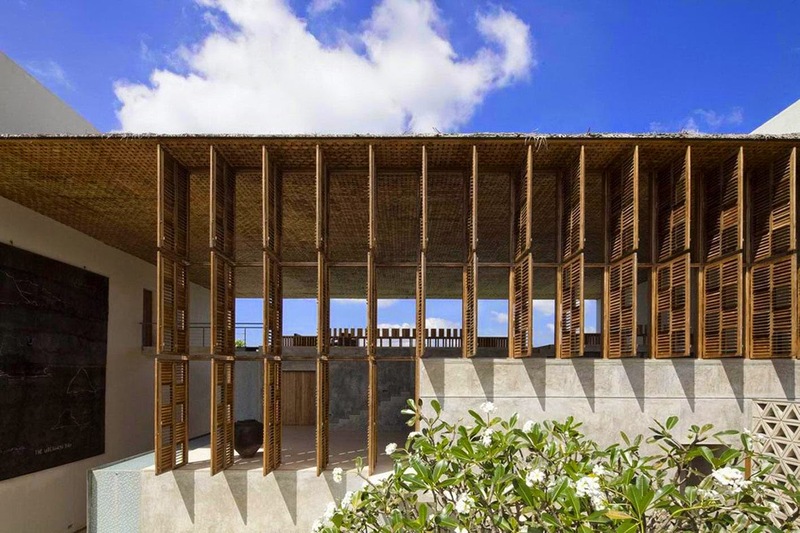 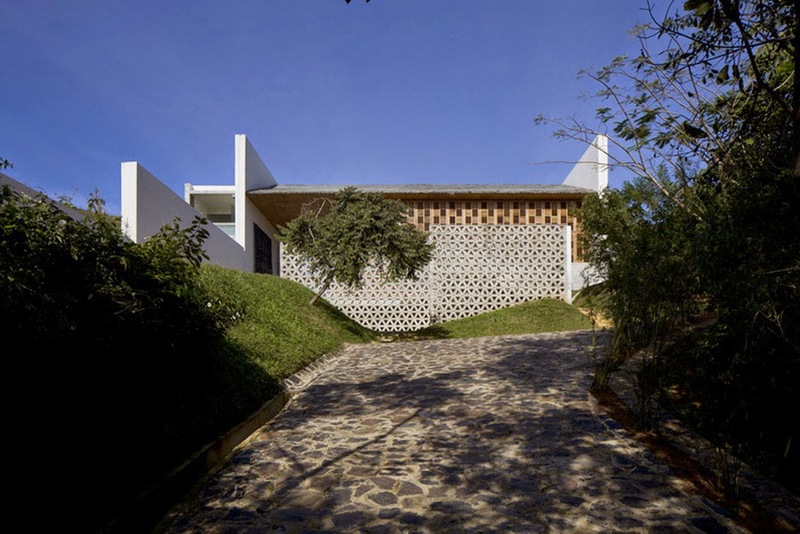 The first is the view of the ocean seen from the jungle in the valley, framed perpendicularly by the external corridor from the existing house to this house and the roof. 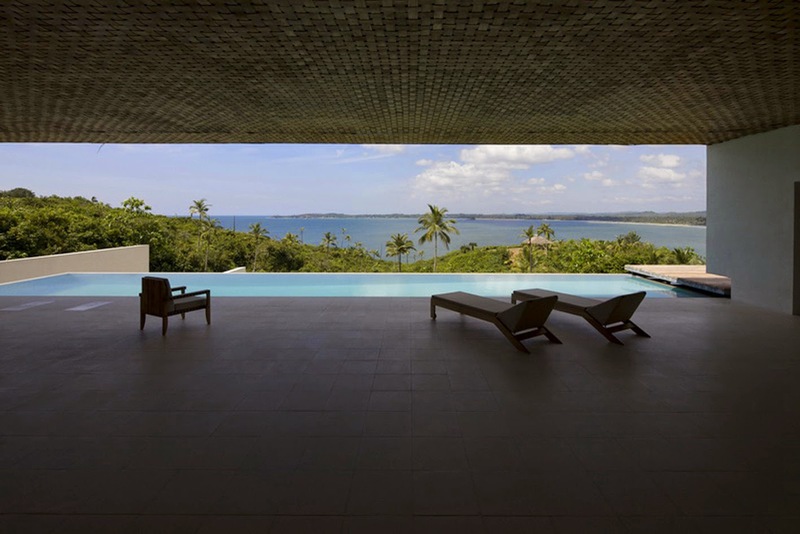 The next is the horizontal scenery of the ocean from the hilltop framed by the large roof supported by poles of 22 m span and the floor. 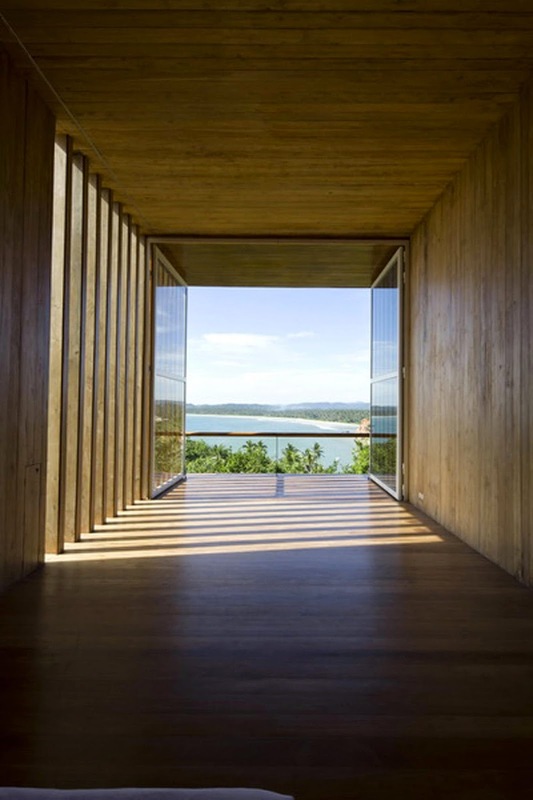 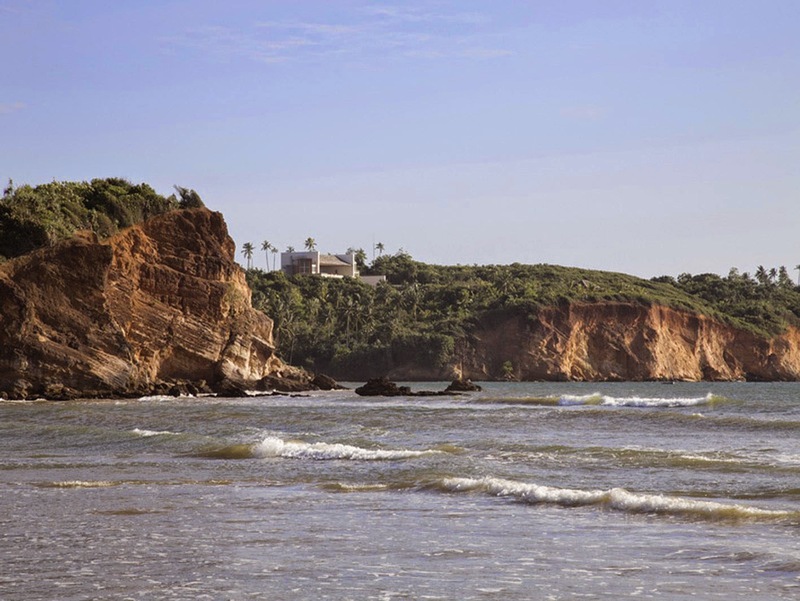 The last is the view of the cliff which glows red during sunset; this is viewed through a square frame composed of 4 m solid wood in the main bedroom. 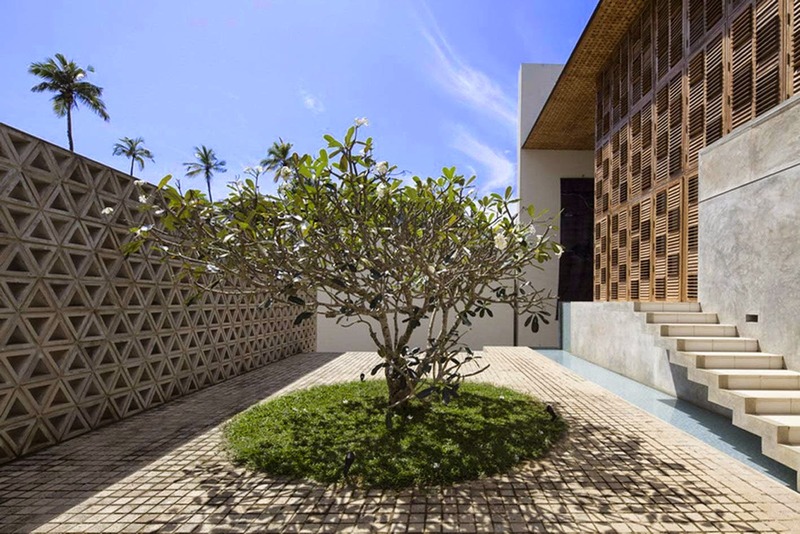 The large roof is first covered by light cement boards for water proofing and secondly covered by woven coconut leave material, which is often used for property fences not only to block the strong daylight but also to blend the building into the local ambience. 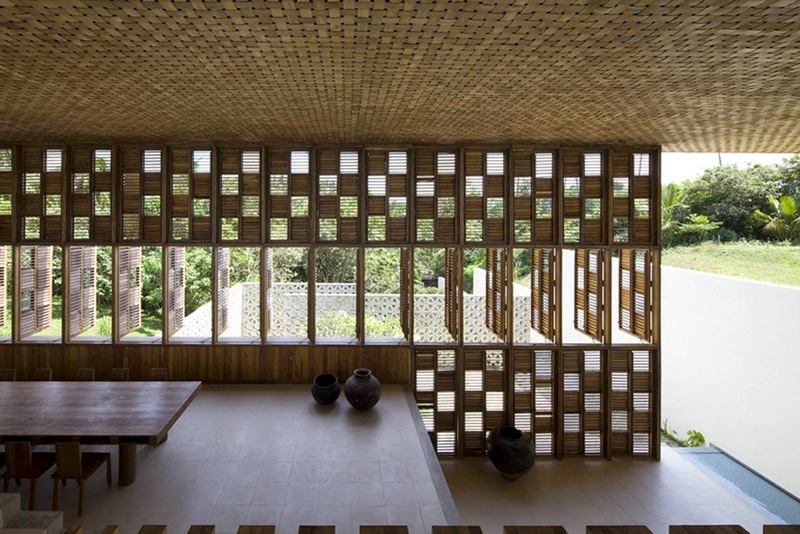 The ceiling is composed of teak, 80mm wide and 3mm thick woven in a large wickerwork pattern.